8 1/4" overall. 3 5/8" stainless blade. 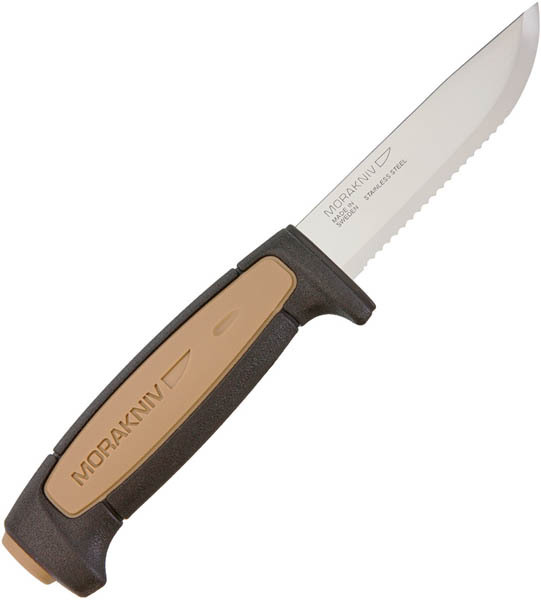 Tan polypropylene handle with gray rubberized overmold. Gray molded plastic belt sheath with drain hole.